The Russian translation of Ayatollah Khamenei’s message to the Western youth, which has been distributed at the Moscow International Book Fair, has been welcomed by young visitors. The Sacred Defense Publishers’ Association has distributed the Russian translation of the Supreme Leader’s letter to the Western youth among visitors at the 28th Moscow International Book Fair (MIBF). 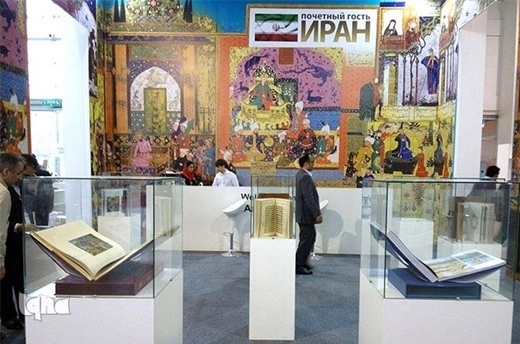 The 28th Moscow International Book Fair (MIBF) opened in the Russian capital on Wednesday (September 2). 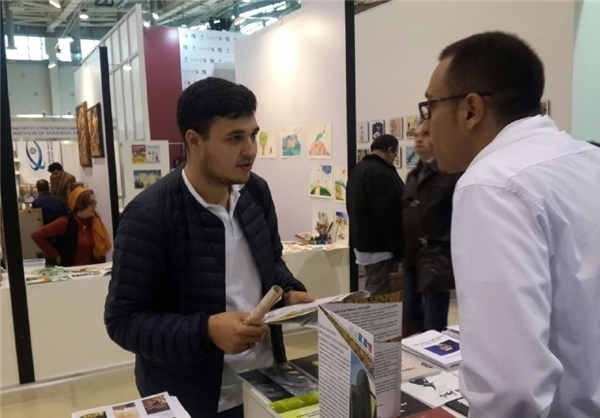 From Iran, the Sacred Defense Publishers’ Association handed out copies of the Russian translation of the Supreme Leader Ayatollah Ali Khamenei’s letter to the youth in North America and Europe to the young people visiting the book fair. In a letter on January 21, Supreme Leader of the Islamic Revolution Ayatollah Seyyed Ali Khamenei introduced a true image of Islam to the youth in Europe and North America and elaborated on the reasons behind Western efforts to spread Islamophobia. [In the historic letter, Ayatollah Khamenei asked the Western youth to try to gain direct and firsthand knowledge of the religion in reaction to the flood of prejudgments and disinformation campaigns against Islam. The letter, which has been met with a warm welcome by Muslims in the world and the Western media, has been translated into multiple languages. [Iran’s Islamic Culture and Relations Organization (ICRO) has translated the Supreme Leader’s message to the Western youth into 21 languages in order to foil attempts to distort the content of the letter or marginalize it. Why Do Those Raised in West Behead Kids in Syria, Iraq?